PE firm which already holds 32.4% in co will gain controlling stake. Do we smell something or shall we take it as right trading / investment opportunity for Carlyle? First they wanted to sell their holdings when PNBHF was trading around 1500, now when the prices have corrected by approx 40%-45%, they wish to acquire more. What should a retailer read from above actions? Even we wish to buy a stock when it corrects & becomes available at attractive valuation, is Carlyle`s act similar to a retailer? Again do they have long term view in the business or they just wish to but at current rate & sell it out around 1500? 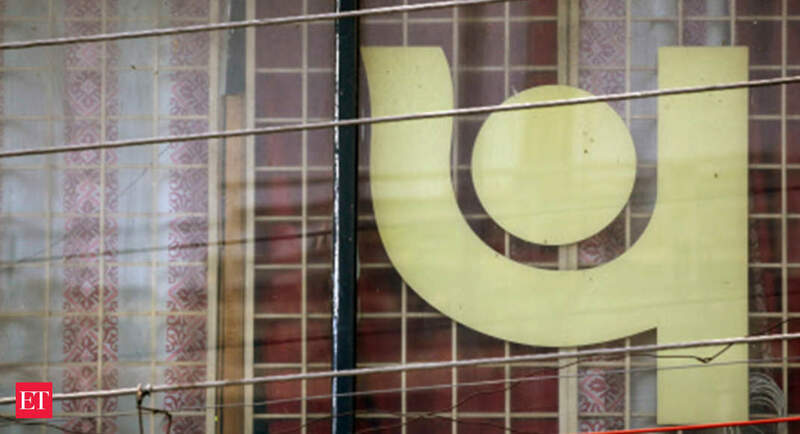 Carlyle had withdrawn from the stake sale process a few months back, and had then indicated it’s interest to take controlling stake in PNB housing. Hence the present news is not surprising. Any liquidity crunch noticed on ground or in disbursement ? They have disbursed more money in Q3 ( after the crisis ) compared to Q2. So not expecting any such issues. The company has maintained asset-liability management position. Doesn’t the news above sound fishy and appear illogical? 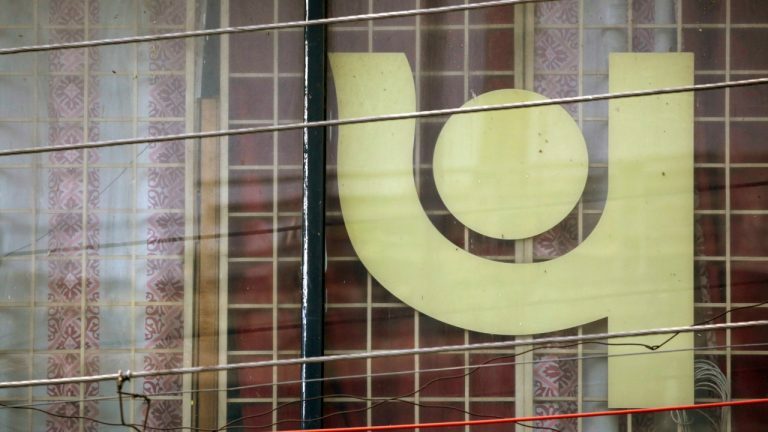 How can PNB retain management control with 10% stake? Was such a news leaked to prevent the share price from spiking? Or PNB’s negotiation tactic? How do you all see this for PNBHFL future? considering need to raise capital soon. Does anyone know if the stake sale is expected to be completed this FY ? What stake sale are you talking about? Having decided that the prime days of PNB housing are over, the parent goes for stake sale. During the sale process, their partner Carlyle backs out since the market has crashed. Fools tread where Angels fear to enter! 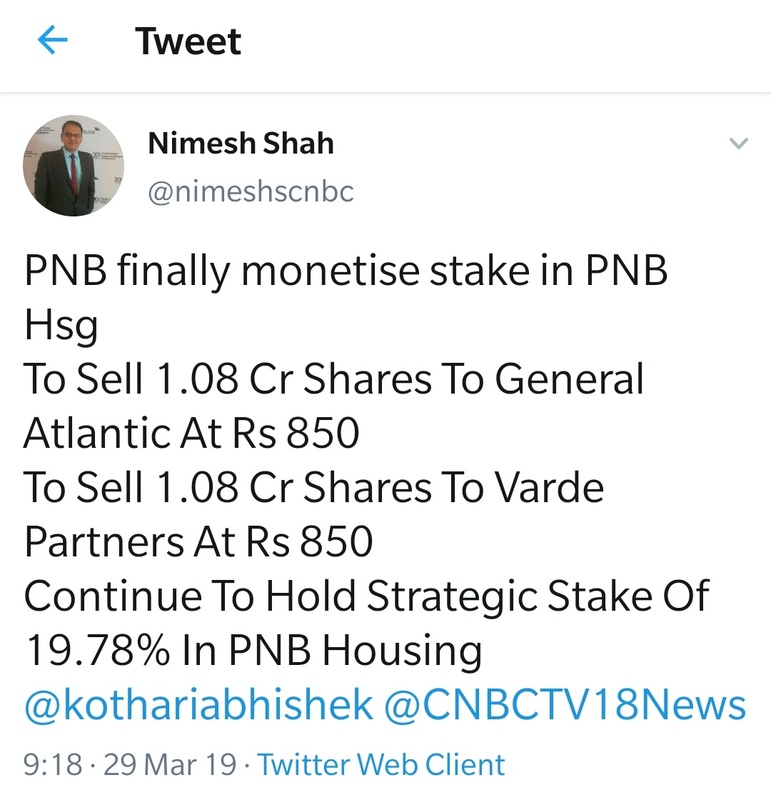 With public money to throw away, PNB continues the stake process to give away a company which had grown bigger than the parent in market cap, and finding that PNB housing is still growing by 30% invents an excuse that their subsidiary is their competitor! If your subsidiary is doing the housing finance business better than you, why don’t you acquire more of it and outsource the housing finance job to them? Fortunately there are wiser heads, and market is looking up. This one is the market leader for housing finance, having grown more and faster in the liquidity crisis last quarter where even Gruh Finance and HDFC bit the dust. Tell me, who can beat Sanjaya Gupta in sales growth? This must be the Challenger to HDFC, the king. And I have vested Interest. Your question is not simple. PNB is trying to answer your question paper for over a year. Carlyle has already failed the exam. I don’t see it atleast in current FY as we have less than 2 weeks. Next FY is expected to be promising with general elections & the resultant new (could be same) Govt in office for next 5 yrs (assuming no hung verdict). If it helps the broader indices, we may see more activity from PNB management as the major reason of disruption of recent stake sale process was crash in major indices. Good debate! 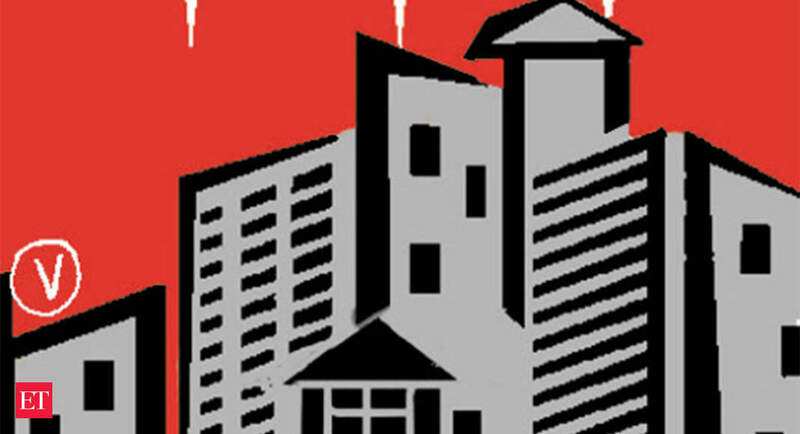 Most of us are gaga about housing finance companys’ prospects. Lot is being said about the triggers (subsidies, low cost housing, Infra​ status, tremendous growth visibility). The thing is that giving loans is one thing and recovery is another thing (should be viewed separately). These housing loans are extremely long term loans. 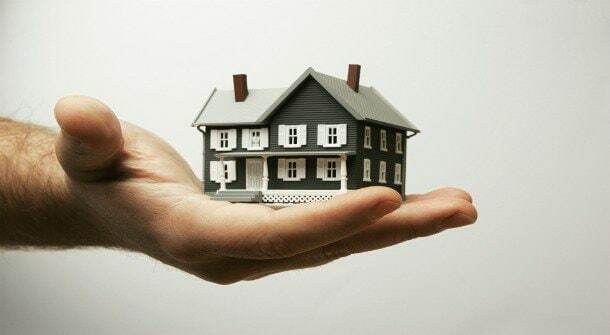 We all are assuming that house being a collateral could be sold easily at ‘good’ rates to recover money if something goes wrong. 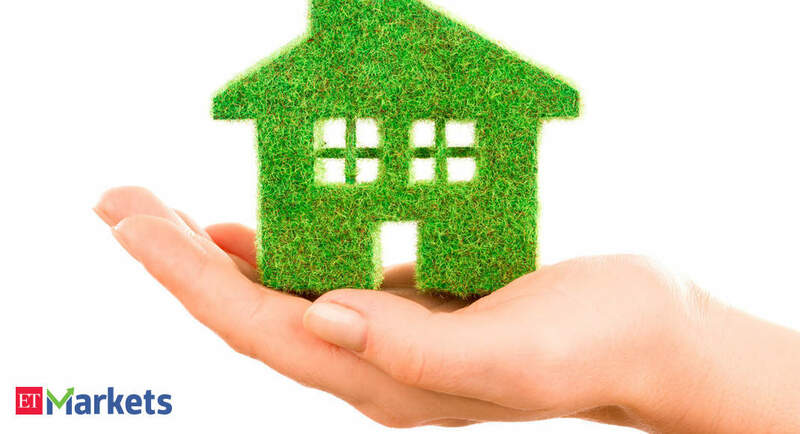 A lot is being assumed about the payback power of the people getting ‘affordable’ houses. Well, there could be a case where houses are in oversupply…so selling becomes difficult (at good rates).in case of defaults. 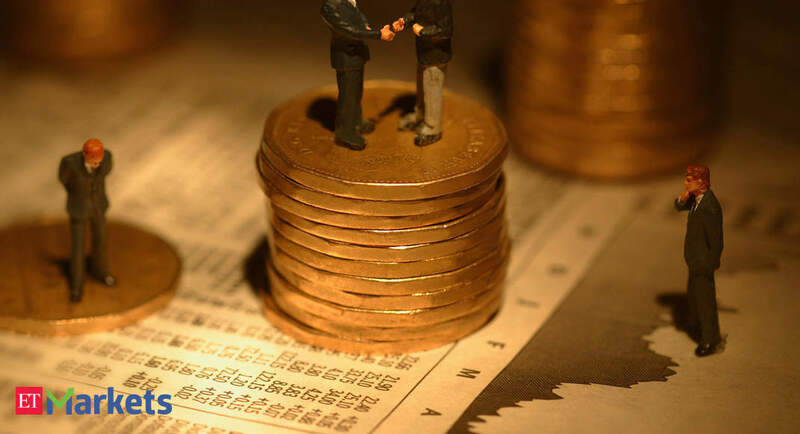 So if the value of collateral falls, the loan might not remain as secure as one may think. One counter point to this might be that if someone defaults after paying regular EMIs for a few years, amount to be paid back becomes smaller than what he originally borrowed. So, even if the value of collateral comes down, we are good. Fair enough! Another point which samir arora made is the budget for this housing subsidy…it’s just 1000 cr. So is that enough? May be more wd be allocated in next few years? Regarding the space getting crowded due to everyone getting into housing finance, it’s being said that the pie is huge to accommodate everybody…is it? How big it is? Another thing is that if one grows the denominator quickly (loan book), npa visibly look constant. But on absolute​ basis they are increasing. Whenever growth tapers down, npa numbers could skyrocket. I am little cautious as everyone is running after these companies as if there is no tomorrow**. 7-8 times p/b is very expensive** irrespective of growth prospects. So MOS isn’t there now. Roe is good as p/bv is very high. So they keep raising funds at higher p/bv, and their book value goes higher and higher. Now, if we assume that the growth (or quality of growth) falls due to some reasons i have mentioned above, stock wjll correct. Correction would resulf in fundraising at lower prices resulting in lower growth in bv. So this will impact roe. It’s all related. It’s all looking so good as they are able to raise funds at astronomical valuation. 7-8x book value to now around 1.85x fy19 book value. Everyone says look at p/b for financials. Why are we looking at p/b and not p/e, over a period of time? If two banks have different ROA, say one is 5 and the other is 1, wouldn’t the first one command a significantly high p/b? Shouldn’t we value any business as sum of all the free cash to the eternity (or till the company exists) discounted to today’s value? Just trying to understand why should not we use p/e. Appreciate any insights. Absolutely. Earlier (meaning a couple of years back) we could say that due to expansion expenses, the RoA would be low and correspondingly P/E would be high. But now, things have normalised and the debt to equity ratio is also normal. So you could look at p/e or p/b as per your wish. Looks like Valuations have come off.